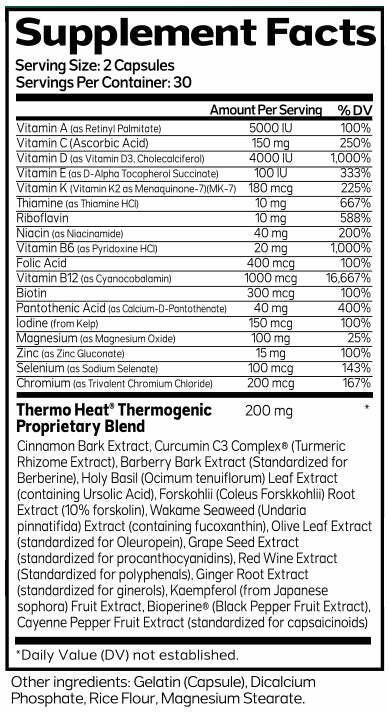 HELPS IMPROVE OVERALL METABOLIC HEALTH. AIDS IN BOOSTING THYROID FUNCTION AND REDUCING BODY FAT. MORE BAT FOR GREATER FAT LOSS. Calcium intake has been promoted for quite some time because of its apparent ability to help maintain bone health. Calcium is also required for many other essential bodily functions, including nerve function, muscular contraction and the regulation of certain hormones. 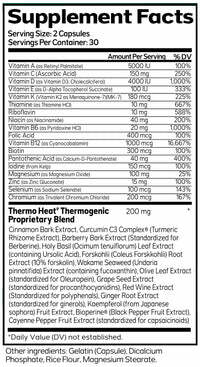 As a result, most multivitamins contain a considerable amount of the daily recommended allowance for calcium. However, a few recent studies indicate that calcium supplementation may not be as beneficial to bone health and it may also negatively impact health and the cardiovascular system. * For optimal health, the minerals iron, copper, manganese and calcium should be supplied from a healthy diet. 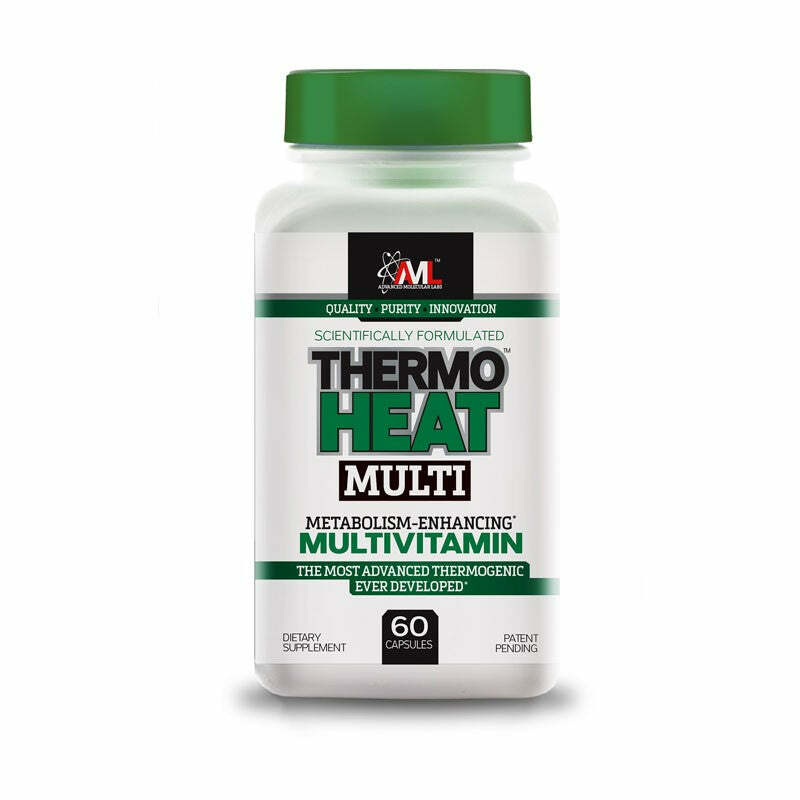 A NOVEL THERMOGENIC BLEND THAT SUPPORTS A LEANER BODY, MORE ROBUST METABOLISM, HELPS SUPPRESS APPETITE AND THERMOGENICALLY INCINERATE FAT. 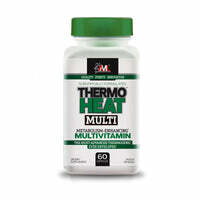 CONTAINS PRECISE SERVING OF VITAMIN D3 FOR ENHANCED LEAN BODY MASS AND FAT LOSS. FREE OF IRON, COPPER AND MANGANESE. The mineral copper also generates oxidative damage, particularly in neurons and the central nervous system, making too much copper intake in the diet unhealthy. Excessive consumption of the mineral manganese is also not ideal. The influence of excessive manganese on health is likely due, in part, from oxidative damage within the body, as manganese can generate free radicals in a similar fashion to iron and copper. Manganese also tends to accumulate in specific cells in the brain called the astrocytes. Since the astrocyte normally provides essential nutrients to neurons, disruption of the astrocyte prevents the required nutrition for the neuron, thus affecting neuronal function.